There is a reason the duo is an institution in country music. Most every shade of popular American music features duets and duos, but none have such a dedicated focus on the magic that can occur when two voices rise in song together like country. That’s the reason many of the major country music awards include duo categories apart from groups, and award artists for collaborations. This became the necessity when Tammy Wynette and George Jones, Loretta Lynn and Conway Twitty, and Willie Nelson and Waylon Jennings were out there making country music history together. Recently the art of the country music duo has become a bit misunderstood. Music Row figured out the duo could be a good avenue for what are basically solo artists and solo songs—or at least songs that only feature one singer and one perspective predominantly—to get attention via awards shows. That’s how Brooks & Dunn won every single CMA for Vocal Duo of the Year award between 1992 and 2006 except one, even though many of their songs could simply be categorized as Ronnie Dunn or Kix Brooks solo tunes. That eventually led us to the unfortunate reality of Florida Georgia Line, and we’re still scratching our heads over what exactly the one blonde guy does. Actually we know exactly what he does; he fills a slot so that the other guy can claim duo status to gain awards and recognition from the industry. Somewhere, the spirit of the country music duo got lost. This isn’t just about the conjoining of two voices. It’s about the mixing of two perspectives on the same theme, telling a story from two angles, making the yearning in the heart that much more aching by adding two sob stories, or uplifting joy that is magnified that much more because it’s shared with someone else. This is the spirit with which the duo Porter Union from Springfield, Missouri approaches their craft. Consisting of Cole Michael Porter and Kendra Porter, the pair dives headlong into the lost art of the country music duo in their debut, self-titled album. Though there are some efforts that would be fair to characterize as more solo in nature, most of this album features the intertwining of voices and points-of-view in ways many modern songwriters struggle to capture. You can’t just take a song and have two people sing on it, or have someone else sing one verse and call it an authentic country music duet. It must be a truly a collaborative effort like you have with Porter Union. Also with Porter Union, it is truly country. From the opening song “Don’t Look At Me,” you understand quickly this duo isn’t angling for awards or radio play, their looking to evoke the ghosts of Tammy and George for the modern audience, and with their own unique stamp. The song that has stood out most from the album since its June release called “Don’t You Know” is so good it’s a shame it isn’t a radio hit, and it probably would have been in a different era. Yet the best song might be Kendra Porter’s solo effort on “Walked Away” about another famous singing duo, Johnny Cash and June Carter, encapsulating so well specifically how the two needed one another, but in the grander scheme, how all pairs of humans help each other to become whole, and something greater than the sum of their individual parts. At points it’s probably fair to say that Porter Union can be a little too emotionally-rich, like in the divorce-themed “The Child,” while some may even be turned off by the sappy nature of the cover. But this may be what others find most appealing. 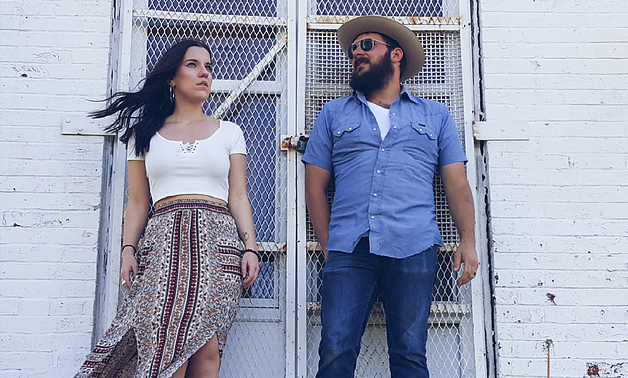 Yet it can’t be underscored enough that Porter Union also has a very true country sound with rich steel guitar, and distinct, inviting voices. This is not Captain and Tennille, and it’s not a folk duo as so many boy/girl singing pairs turn out to be these days. Porter Union appear to be just as committed to the classic duo approach to country music as they are to true country music itself. Good good stuff. Sometimes duo’s are hard to handle but this just grabs you by the heart and pulls you in. Geesh, Trigger! This is the best I have heard in a long time! Love both voices together and separate…and the steel guitar is awesome. Wow. Was not expecting to like this; not a big duo fan. Both songs are nice, but “Don’t You Know” is really excellent. That song alone justifies the album purchase. Putting this one in the cart…Thank you for the review! Wonderful…i’d like to hear similar material from chris and morgane…. Man, I love this! Thank you for the introduction. That is all. I saw these guys on accident in Omaha opening for Cody Jinks and then was lucky enough to see them at Tumbleweed again shortly after. It was awesome seeing guys like Cody Jinks and Ward Davis bring Kendra Porter on stage to do songs with them as well. Great duo! 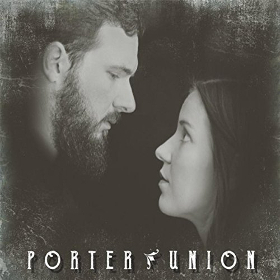 I really enjoy this album, and Porter Union demonstrates what a true duo should be- telling a story from different view points. I agree with the review that most “duo” songs nowadays are really just solos or one point of view with one person taking the lead and the second just re-emphasizing it. I really enjoy this lost art and hope to hear more. I saw them open for Cody Jinks in Madison. My favorite, and more recent, duo is Julie and Buddy Miler. She, especially, is a brilliant songwriter. Too bad her health limited her career. Wow. They’re really good. And for my stalker, they also come off to me as pretty darn authentic. This is the first thing Trigger has reviewed in over a year, that I’d consider spending money on. I read your reviews and if an album doesn’t get 1 3/4 guns up (8/10) or higher part of me just doesn’t feel like I have the time to even try it out with so much music to listen to. Mainly because I respect yoor very high standards but I often think maybe I’m missing out on too much and should make up my own mind. LOL! I have always had this weird dichotomy with critics (even Roger Ebert and movies). Part of the job of a critic is to steer people to what they think is good but at some point you do have to judge for yourself. And then of course ratings systems are always faulty. I can’t be the only one who endures this quandary. I guess I just saying I like and trust your reviews (maybe to a fault). One of the reasons this album got a slightly lower score was because I was worried some would find it too hokey. I didn’t want to rate it as an automatic buy and then have people somewhat disappointed. But judging from the comments, I think it is being very well received, and those worries were at least a little bit unfounded. Yes, that’s another good example of the true approach to the country music duet, but that album is mostly covers done anew. Not to knock it at all, but what is cool about Porter Union is they’re young, and they’re making original music for a new generation. We’ll always love the old greats, but someone has got to pay that tradition forward. Brother/Sister duo Hymn River Suite released a new album today (Hundred Proof). Porter Union sounds good. It’s the kind of country music my mom loves. Porter Union or Hymn River Suite? I prefer Hymn River Suite. Mixing country with (southern) rock & different tempos. My highlights: “Hundred Proof”, the uptempo “Hillbilly Queen”, “Pictures” & “Fools Gold”. Yes ….real nice honest sentiment and performance . And COUNTRY . This is my current 2nd favorite song. Number 1 is Ashley McBryde’s “A Little Dive Bar in Dahlonega”.